ECDPMPublicationsBuilding Coherence between sector reforms and decentralisation: do SWAps provide the missing link? Building Coherence between sector reforms and decentralisation: do SWAps provide the missing link? Land, T. and V. Hauck. 2003. Building Coherence between sector reforms and decentralisation: do SWAps provide the missing link? 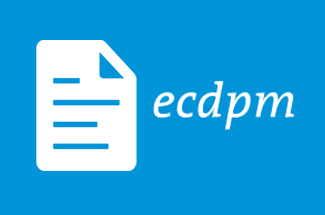 (ECDPM Discussion Paper No. 49). Maastricht : ECDPM. Sector-wide approaches (SWAps) are being used more and more by donor agencies and their country partners to achieve development objectives founded on principles of common interest and equitable partnership, national ownership and execution, of the aid donor harmonisation, capacity development and performance. Besides providing a framework for improving the quality relationship, SWAps are also seen as a means of translating the goals of Poverty Reduction Strategy Papers (PRSPs) into operational plans that can facilitate a transition from project aid to forms of budget support. Yet because the emphasis in the past has been on looking at the role of SWAps at a macro-level, and on exploring the emerging relationship between national governments and donors, the impact of SWAps on internal processes of governance has tended to be overlooked. This is particularly true of intersectoral relations, as well as the relationship between the central administration, deconcentrated and devolved tiers of government, and non-state actors. 1 In countries where governments are committed to decentralisation, it is becoming apparent that SWAps can have a significant influence on centre-local relations, and hence on the locus of decision-making, lines of accountability and the role of non-state actors. SWAps can also influence the interplay between sector reform programmes and decentralisation processes, as well as promote intersectoral coordination, which is needed in order to create synergies in implementing poverty reduction strategies. The paper draws on the findings of a five-country study carried out between April and November 2002 in Benin, Bolivia, Burkina Faso, Tanzania and Uganda, 2 as well as on a review of recent literature on decentralisation and sector-wide approaches. 3 The paper also draws on the outcomes of an international policy seminar that was held from in Maastricht, the Netherlands, 1 to 3 April 2003. Some 40 experts, including policy-makers and practitioners from the case-study countries, as well as development agency staff and researchers gathered to discuss the topic and to formulate policy recommendations.